IBM continues to push the boundaries of where Watson will take it, unveiling Watson-powered apps from partners in various sectors, as adoption for cognitive and cloud computing increases. 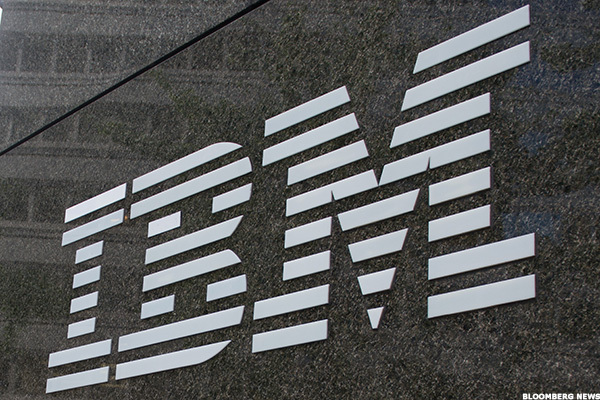 NEW YORK (TheStreet) –– IBM (IBM - Get Report) continues to push the boundaries of where Watson, its cognitive computing platform, will take it, unveiling Watson-powered apps from partners in various sectors, as adoption for cognitive and cloud computing has increased. Several of IBM's partners, including those in the retail, health care, IT and travel industries, unveiled apps that use Watson's computing engine to analyze data and allow both businesses and consumers to make better choices. "This is a continuation of what was announced in January," said Steve Gold, vice president of marketing and sales operations at IBM's Watson Solutions, in a phone interview. "Watson has gone global. It's a different frame of reference for Watson, it's not just Jeopardy anymore. It's about the discovery capability, and if you don't know the question to ask, Watson will help you understand the insights that could be extracted from the data." In January, IBM launched the IBM Watson Group, investing more than $1 billion in the new business unit that will continue to push the boundaries of where big data will take it. The group launched new software, services and apps with the help of Watson. IBM, which has had its struggles in cloud computing with competition coming from Amazon (AMZN - Get Report) , Google (GOOG - Get Report) and others, has said it intends to have $20 billion in revenue from analytics and big data by 2015, with Watson being a part of that. Back in 2010, IBM had set an initial goal of $10 billion by 2015. In addition, IBM unveiled a global headquarters for Watson in New York's "Silicon Alley" which will house more than 600 employees dedicated to working on Watson, as well as serve as a place where developers and entrepreneurs can interact and be used as an incubator for start-ups. As part of the new apps and services, IBM's partners (of which there are more than 100 now) showed off the capabilities of what Watson-powered apps can do. For example, WayBlazer, which was founded by Travelocity's Terry Jones, will use Watson to create a better travel experience, with the company's app being used to improve convention bookings, increase hotel bookings and provide additional revenue streams from partner and affiliate marketing opportunities. In the past, Watson had a large presence in the health care sector, as research facilities and hospitals used Watson to diagnose patients and read medical journals and the like. But Watson's capabilities are more than just "a Q&A service," Gold noted. There are two classes of services -- Q&A and solution type services. But there's also machine translation, Gold explained, allowing people to interact with Watson in any language. "The future has arrived, and Watson is bringing forward a new era of computing enabling organizations around the globe to launch new businesses, redefine markets and transform industries," said Mike Rhodin, senior vice president, IBM Watson Group, in a press release. "Watson is fueling a new market and ecosystem of clients, partners, developers, venture capitalists, universities and students. The next great innovations will come from people who are able to make connections that others don't see, and Watson is making that possible."